Red Bull Media House is looking to hire an Executive Producer to join the global music content team, based at Red Bull’s London office. Working in the global music group, this role is responsible for the development and oversight of video series that will live on Red Bull’s global, digital music channels across a multitude of categories, including: one-off documentaries, documentary and entertainment formats, and music performance series. YOUR EXPERIENCE INCLUDES: (proven performance in) Ideally 3+ years’ experience working at a Development Executive or Executive Producer level. Proven ability to produce amazing music video content. A deep understanding of the music industry and an on-the-pulse awareness of how music relates to, and defines, culture in 2019; particularly with hip-hop and dance music. Strong experience in producing excellent and industry-defining video content. The ability to work closely with internal production staff, internal stakeholders, and external production partners to deliver incredible work. Understanding of music licensing and general music rights issues. 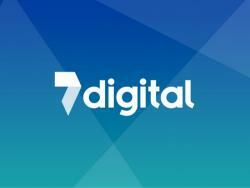 7digital is a b2b digital music solutions company. We work with clients and partners to transform the listening experience for music fans like you, around the world. Our digital music platform and flexible APIs are used to power comprehensive music and radio services for leading consumer brands, mobile carriers, automotive systems, retailers, broadcasters and record labels. Alongside great technology, we offer global music rights, award-winning radio production services, and content management expertise, making us a leading global partner in the digital music industry. Centred at the heart of 7digital, the Content Operations team are responsible for the music that is available across the platform. We manage the assets, metadata and operational relationships that enable release availability for clients; making the team critically important to the business and to every artist, rights-holder & end-user. Joining the team you will be key to the day to day operations; ensuring the smooth running of the content ingestion system and managing the label relationships. You will also be part of driving improvements and efficiency across the supply chain. We’re looking for an individual who has some experience within the Music Industry or Digital Operation with a passion to learn on the job. This role is ideally suited for someone who wants to be part of a growing and exciting area of the music industry. WHAT DOES A CONTENT OPERATIONS MANAGER DO? Ingestion of approved content and metadata across the supply chain Monitoring the queue of requests from both internal teams and external suppliers, triaging the work and providing a detailed analysis of the issue Work with various teams to implement resolutions to issues in a timely manner Documentation of errors, resolutions and workarounds Retrieve and analyse data sets to inform key operational decisions Manage and grow operational relationships with labels and distributors Onboarding new labels onto the 7digital platform Provide out of hours support as part of the on-call rota Work with the Tech teams to drive innovation across the 7digital platform Part of the team’s on call rota WHAT SKILLS AND EXPERIENCE ARE WE LOOKING FOR? A passion for music and all things audio Meticulous attention to detail Ability to manage and prioritise personal workflows Strong written and verbal communication skills Ability to communicate effectively to a variety of stakeholders A passionate interest in new technologies, the music industry and digital industries IT WOULD BE ADVANTAGEOUS TO HAVE EXPERIENCE IN THE FOLLOWING AREAS Experience managing operational relationships across a digital supply chain Previous experience working as part of a digital operations or supply chain team Familiar with JIRA and Agile workflows Knowledge of delivery via DDEX ERN Knowledge of SQL Knowledge of FTP Knowledge of industry standard audio codecs BENEFITS 25 days holiday (increasing by one day each January, up to a maximum of 30 days). Bonus birthday day off. Pension Scheme – matched contributions up to 3%. Healthshield cashback scheme. Travel season ticket loan. Cycle to work scheme. Flexible working hours. Up to 3 days paid each year to do volunteer/charity work. Got any questions? Want to know more about the role or team before applying? Get in touch.